"Gold and silver coins galore all are coming to your door." Keep your hands over the pumpkins until your palms tingle or grow warm. Give them to your friends with a smile, and repeat the spell to them. 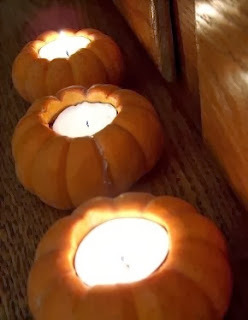 Tell them to light the candle in the pumpkin at midnight on Samhain to activate the spell.